I am still in Asia, simply changed the country. My new home for the next 1,5 months will be Seoul in South-Korea. I must say it was very hard to leave Tokyo as this place had already becoming very homely. What did I know about Korea beforehand.. not much.. that they eat a lot of kimchi and meat.. and that's where K-Pop comes from. Both are true but so far I haven't heard any Korean pop-music and the first restaurant I stumbled upon serves the most amazing salad bowls instead. 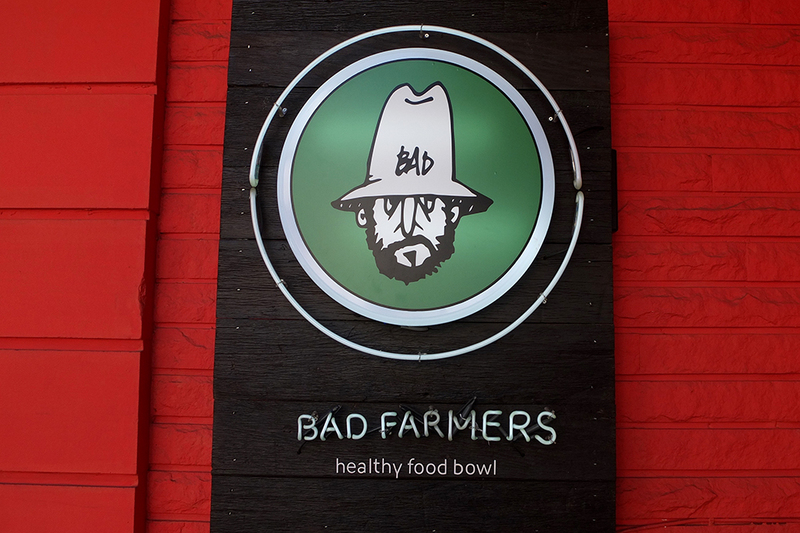 Bad Farmers is located in bright red wooden house in the heart of Sinsadong, close to Garosu-gil street, serving 8 different kind of salad bowls and sandwiches. 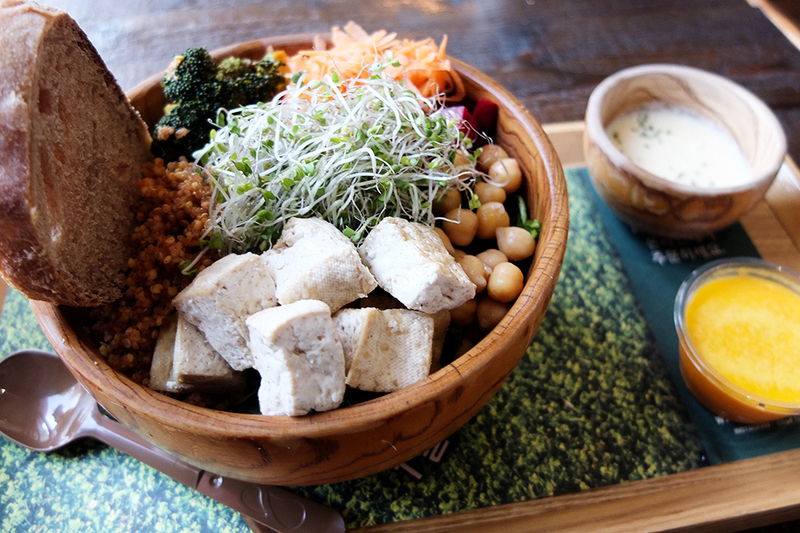 It's kind of like a local version of sweetgreen, which is one of my favourites in New York. 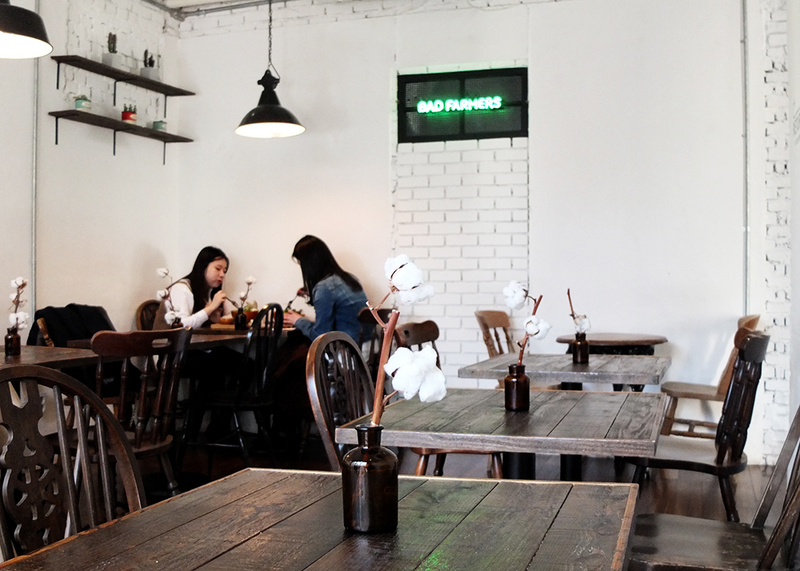 I went for a late lunch so there were plenty of seats available, usually it's very busy with people queueing to get a seat.